Asian Tour concluded with the Hero Indian Open in March at the famous DLF Golf and Country Course, where Matt Wallace tasted the victory in a playoff against compatriot Andrew Johnston, lasting only a hole. Panasonic Open Championship is a golf tournament for male golfers on the Japan Golf Tour and Asian Tour. Hosted by Panasonic and was first played in 2008 as Asia-Pacific Panasonic Open at the Ibaraki Country Club in Ibaraki, Osaka, Japan. The event was not played in 2014 and 2015 and was won by Kenichi Kuboya in 2017 at Chiba Country Club. The only non-Japanese winner of the event is the Australian Brendan Jones who won it in 2010 at the Rokko Kokusai Golf Club. 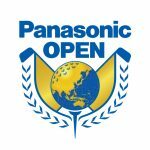 Panasonic Open is scheduled for Apr. 19-Apr. 22, 2018 at the Ibaraki Country Club with a prize fund of US$1,400,000. 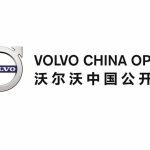 Volvo China Open is a golf tournament held annually in China since 1995. The event is organized by the China Golf Association and has been co-sanctioned by the European Tour since 2003. The event is scheduled for Apr.26 – Apr.29, 2018 at Beijing Topwin Golf and Country Club, where Alexander Levy lifted the cup in 2017 after defeating Dylan Frittelli in a playoff. Nicolas Colsaerts has the distinction of making the tournament record score of 24-under-264 on the way of his four-stroke win over Soren Kjeldsen, Peter Lawrie, Danny Lee, and Pablo Martin in 2011. So are you excited about Asian Tour’s April Schedule?